The Check Point research team uncovered a new Android malware campaign on Google Play it calls Viking Horde. Viking Horde conducts ad fraud, but can also be used for other attack purposes such as DDoS attacks, spam messages, and more. 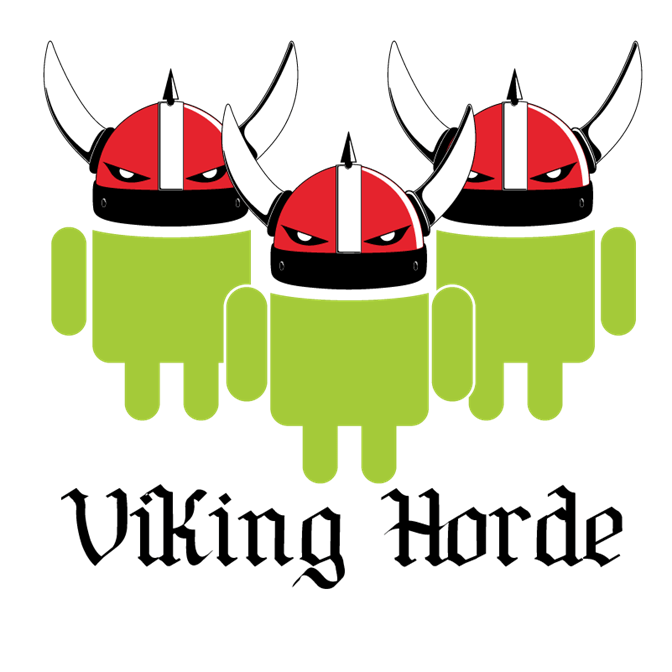 At least five instances of Viking Horde managed to bypass Google Play malware scans so far. Check Point notified Google about the malware on May 5, 2016. On all devices — rooted or not — Viking Horde creates a botnet that uses proxied IP addresses to disguise ad clicks, generating revenue for the attacker. A botnet is a group of devices controlled by hackers without the knowledge of their owners. The bots are used for various reasons based on the distributed computing capabilities of all the devices. The larger the botnet, the greater its capabilities. On rooted devices, Viking Horde delivers additional malware payloads that can execute any code remotely, potentially compromising the security of data on the device. It also takes advantage of root access privileges to make itself difficult or even impossible to remove manually. The most widely-downloaded instance of Viking Horde is the app Viking Jump, which was uploaded to Google Play on April 15 and has between 50,000-100,000 downloads. In some local markets, Viking Jump is a Google Play top free app. The oldest instance is Wi-Fi Plus, which was uploaded to Google Play on March 29. Other instances include the apps Memory Booster, Parrot Copter, and Simple 2048. All Viking Horde-infected apps have a relatively low reputation which the research team speculates may be because users have noticed the odd behavior, such as asking for root permissions. From its research of Viking Horde’s code and the C&C servers used in the attack, the research team can illustrate the malware process flow. 1. The malware is first installed from Google Play. While the app initiates the game, it installs several components, outside of the application’s directory. The components are randomly named with pseudo-system words from a preset list, such as core.bin, clib.so, android.bin and update.bin. They are installed on the SD card if the device is not rooted, and to root/data if it is. One of these files is used to exchange information between the malware’s components. A second file contains the list of the generated names of the components, to make them available to all components. app_exec. Implements communication protocol with the server. app_exec_watch_dog Binary implements update and persistency mechanism. Watchdog monitors app_exec process and restarts it if needed. In both scenarios, once app_exec application is installed, it establishes a TCP connection with the C&C server and starts the communication. The communication consists of the following commands. Ping. Every 10 seconds application sends 5 bytes to the server. The server responds with the same 5 bytes. Update of device information: Sends to server charge battery, type of connection and phone number. 3. The next step is to accomplish the main malicious functionality by creating an anonymous proxy connection. The C&C sends a “create_proxy” command with two IP addresses and ports as parameters. These IP addresses are used to open two sockets one for a remote server (which is a client of the botnet exploiting the anonymous proxy) and the other for the remote target. Then it reads the data received from the first socket and channels it to the target host. Using this technique, the malware developer (or someone using this botnet as “malware as a service”) can hide his IP behind the infected device’s IP. It is important to understand that even if the device is not rooted, Viking Horde turns the into a proxy capable of sending and receiving information per the attacker’s commands. Below is an example of an infected device as seen from an attacker’s C&C. The remoteIP is the proxy’s IP, and the socksIP is the C&C server’s IP. The C&C contains some information about the device including its OS version, battery status, and GPS coordinates. In this case, the device is located in the US on T-Mobile. The botnet is controlled by many C&C servers, each managing a few hundred devices. The malware’s primary objective is to hijack a device and then use it to simulate clicks on advertisements in websites to accumulate profit. The malware needs this proxy to bypass ad-nets’ anti-fraud mechanisms by using distributed IPs. Some user reviews of the app also claim it sends premium SMS messages, as seen in the screen capture below. This botnet could be used for various malicious purposes, such as DDoS attacks, spamming and delivering malware. The malware uses several techniques to remain on the device. First, Viking Horde installs several components with system-related names, so that they are hard to locate and uninstall. The app_exec component monitors the main application’s existence. If the user uninstalled the main application, app_exec decrypts a component called com.android.security and silently installs it. This component will be hidden, and run after boot. This component is a copy of itself and has the same capabilities. The watchdog component installs the app_exec component updates. If app_exec is removed, the watchdog will reinstall it from the update folder. Perhaps the most dangerous functionality is the update mechanism. The update mechanism is split between app_exec and watchdog components. app_exec downloads the new binary from the server and stores it to /data directory with the app_exec_update name. Watchdog periodically checks if an update file exists and replaces app_exec with this file. This means that upon the server’s command, Viking Horde downloads a new binary. The watchdog component will replace the application with it. This allows downloading and executing any remote code on the device. Amazon has become the latest tech giant that’s giving away some of its most sophisticated technology. The post Amazon’s Giving Away the AI Behind Its Product Recommendations appeared first on WIRED. just an open source consumer; it is also an ardent contributor to several projects, including Eclipse, Linux, OpenStack, Cloud Foundry, Node.js, Docker, Hyperledger, and many more. The company’s ongoing commitment to open technology is viewed as a means to form the very foundation of enterprise systems and solutions. The Raspberry Pi Zero, the cheap, $5 version of the popular computer, has been notoriously hard to find since its initial release. Today, they’re releasing a new model that adds in a camera connector. They’ve also acknowledged the demand, so hopefully these newer versions will be a bit easier to track down. Warren Buffett’s Berkshire Hathaway Inc.
took a new $1 billion position in Apple Inc.
in the first quarter, a move that comes as the technology giant’s shares have been battered amid a slowdown in iPhone sales. The legendary investor’s firm reported owning 9.81 million shares of Apple as of March 31, valued at roughly $1.07 billion. But the value of that investment dropped significantly after Apple reported its first quarterly revenue decline since 2003 last month. Mr. Buffett said in an email that the Apple investment was made by one of Berkshire’s two investment managers, Todd Combs and Ted Weschler. The two former hedge-fund managers were hired in 2011 and 2012 to help manage Berkshire’s massive stock portfolio, with each managing about $9 billion. Mr. Buffett has said that large stock picks of above $1 billion are usually made by him, while smaller purchases are made by one of the two managers. They don’t consult with him before making their investing decisions, Mr. Buffett added Monday. He didn’t say which manager picked Apple. Berkshire’s first big jump into the tech space came in 2011 when the firm reported a position valued at more than $10 billion in International Business Machines Corp.
Berkshire increased that stake slightly in the first quarter. The firm is also said to be backing a consortium that includes Quicken Loans Inc. founder Dan Gilbert that is vying for Yahoo Inc.
’s Internet assets, according to Reuters and other media outlets. Such a move would mark another investment in an older tech name. In Apple, Berkshire likely saw a buying opportunity, as the shares are off sharply from last summer’s highs as the company struggles to maintain the sales surge that followed the introduction of its larger-screen smartphones in late 2014. The 2015 successors to those initial big-display models haven’t garnered as much enthusiasm from consumers. Apple traded above $130 a share last July and ended the first quarter at $108.99 before continuing to fall. The stock got a bounce in morning trading on Berkshire’s investment, rising 1.8% to $92.10. The company’s market value is about $510 billion, according to FactSet. Leon Cooperman’s Omega Advisors Inc. also got back into Apple during the quarter, according to a filing, taking a small $25 million position more than a year after selling a bigger stake. Berkshire’s investment in Apple—the firm’s only new position taken in the quarter—follows the exits of other well-known investors, Carl Icahn and David Tepper. Mr. Icahn said last month that he had sold his big stake, telling CNBC at the time that Apple is a great company but no longer a “no-brainer” as an investment choice. Mr. Icahn made his initial investment, reported to be worth about $1.5 billion, in 2013. He subsequently bought more shares and called for the company to boost its stock buybacks. Mr. Tepper’s Appaloosa Management LP disclosed his sale in a 13F filing on Friday. As for IBM, Berkshire bought 198,853 shares in the first quarter, bringing the total value of its position to $12.3 billion. IBM is one of Berkshire’s biggest four investments, along with Kraft Heinz Co.
& Co. and Coca-Cola Co.
Those three positions were unchanged in the first quarter. which it had pared in the previous quarter as well. Mr. Buffett had been a large investor in DirecTV, which AT&T bought last July. LinuxJournal: What’s the intersection of Drupal and the Amazon Echo?